Welcome to the world where the culture of the Far East has mixed with the Slavic soul, and natural energy flows not only through the musicians, but through their instruments as well. Let me introduce you to the Polish group Atman. What makes this project so unconventional? Maybe the fact, that from the very beginning Atman wasn’t supposed to be a musical or even an artistic project. Atman was born in 1978 as ’18 Września Atman’ (‘September 18 Atman’, the 18th of September signifying Jimi Hendrix’s death) in the minds of Marek Styczyński and Marek Leszczyński, while they were studying forestry in Cracov. 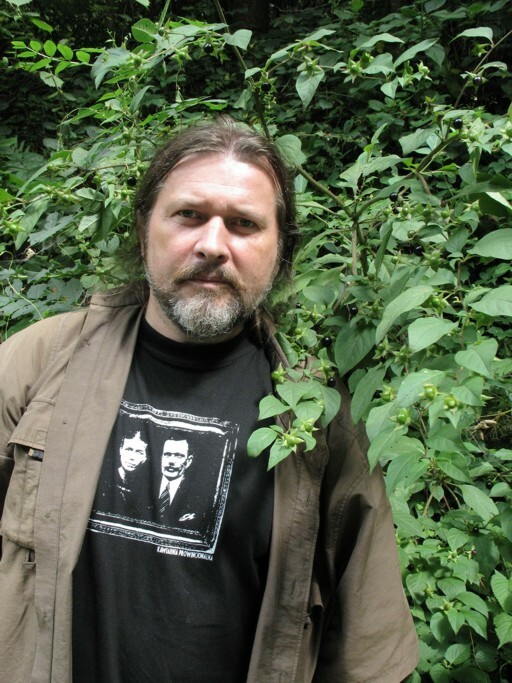 Another member, Piotr Kolecki, joined them soon after the band had been founded. The project emerged from their tendency for experimentation and exploration of new, unknown sounds. 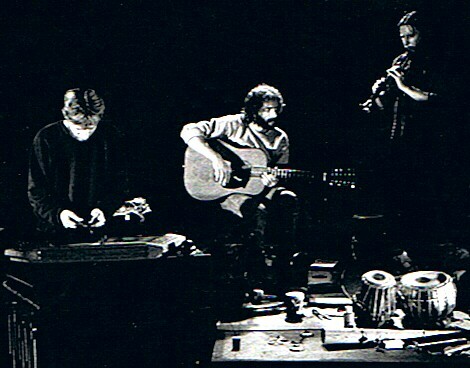 The group was temporarily called Theatre of Sound Atman, because they used to play music for performances. Later, they incorporated performance to their own shows. So what was Atman really? As the musicians say – it was a journey. A physical, spiritual and musical journey. The project lasted for more than 20 years, despite the great distance between members, who had at the time no access to modern forms of communication. Nowadays, recording an album with someone living on the other side of the globe is not a problem – all that’s required is willingness and an Internet connection. Born in the era of communism, the project performed initially in Cracow clubs and collaborated intensely with the Polish-Indian Friendship Society, a fact that undoubtedly played a significant part in the further development of the band’s musical stigma. It’s easy to notice the Oriental influence in Atman’s music, which may be misleading, since the artists emphasize that creating world music was not their intention. As Slavs, they created purely Slavic music enriched with instruments from all around the world. For me, their music is almost organic. Warm sounds for focused listeners. Spatial musical passages embellished with beautiful melodies. Trance-inducing calls of Nature. A taste of ritualism. The music just flows naturally through the headphones straight into your mind. Large parts of their compositions consist of improvisation based on the structure of the song. I won’t try to pigeonhole this band in any genre. Their music is too naturalistic to give it any artificial tags. Just listen, and you’ll know what I mean. Because of their unusual activities the group was able to produce a wide spectrum of concepts. Their first releases saw the light of day only during the last decade of their activity – in the nineties. This phase began with the recording of two live performances, immortalized on the album ‘…Jak Rozrzucone Po Ziemi Kamienie…’ (‘…Like Stones Scattered On The Ground…’). Their next record was called ‘Brown Sessions’; the result of the meeting with Alma Yoray, an American artist, dancer and singer who settled down in the Polish village of Przesieka, where she created a Vipassana Meditation Center. I would say that it is their most spacious record I have listened to as of yet. What makes it different from the rest is its significant number of melo-declamations. ‘Gadająca Łąka’ (‘Talking Meadow’) is an almost archival record of workshops under the same name, that took place in Liciążna, where Piotr was working as a forester. This amazing aspect of their work could easily be the material of a separate article. A group of people gathered in the middle of the forest to listen, meditate, create and to learn from each other. They were creating music, paintings and even their own instruments. They were listening to the voices of the meadow. They didn’t even know each other, the links between them were the time and place. Sound interesting? ‘Personal Forest’ which was released in 1994, and for me is a meditational album, is definitely worth checking out. To fully experience its beauty I advise you to keep eyes your closed. Then, the beauty can freely flow into your mind. Despite these prerequisites ‘Personal Forest’ isn’t monotonous at all, quite the contrary, it’s dynamic and diversified. The music’s atmosphere thickens gradually and imperceptibly, and just at the right moment it reveals its might, giving me the shivers. The last album I’ll refer to here is ‘Tradition’. It differs from Atman’s earlier records thanks to rock sounds, distorted guitars and Anna Nacher’s beautiful, deeply emotional vocals and great lyrics, which make this album more accessible. Another interesting aspect of Atman’s creativity are the instruments they used. The core consisted of Indian drums called tabla, cimbalom, 12-string acoustic guitar and plenty of others. Among them the world’s oldest instruments: didgeridoo, mouth harp, music bow, clay pots. Some of them were handmade by the musicians or their friends. They even used children’s toys. Just anything that composed well. Not only the instruments itself were unusual, but also the way they were treated. Newly acquired ones were left untouched onstage during a performance, in order for them to gain some sort of experience and soul. In a few words, how would I describe Atman? It’s a one of a kind project. An open-minded, and even mind-opening, experimental experience: the more you learn about it, the more you appreciate it. Music of the soul*. *The world ‘Atman’ comes from Sanskrit and means eternal consciousness, soul of the world.